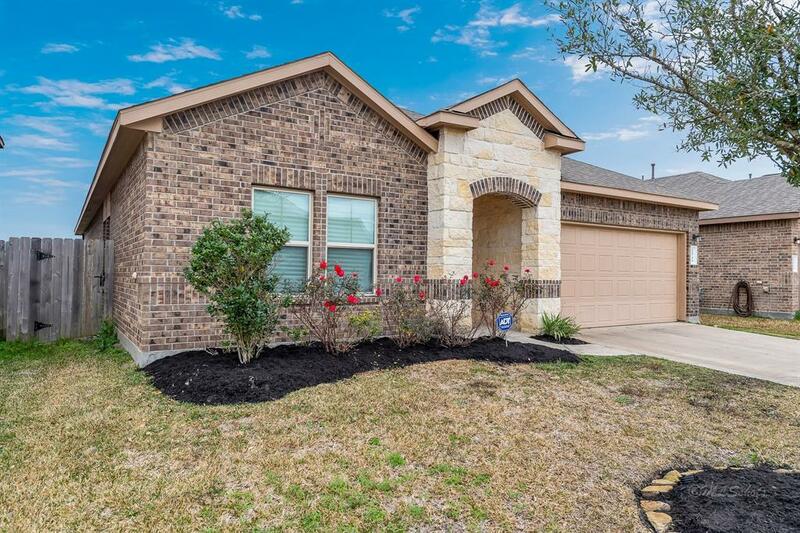 Welcome to Ventana Lakes and this beautiful DR Horton home with upgraded stone elevation selections for the front facade. 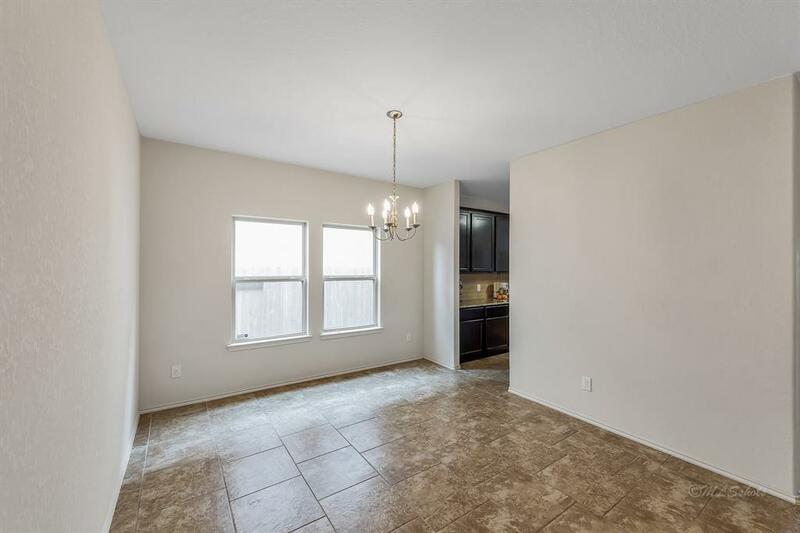 A 4 bedroom 2 bath home with tile throughout the entry and all wet areas of the home, dining room, kitchen, living room, and both bathrooms. Carpet covers all bedroom floors. 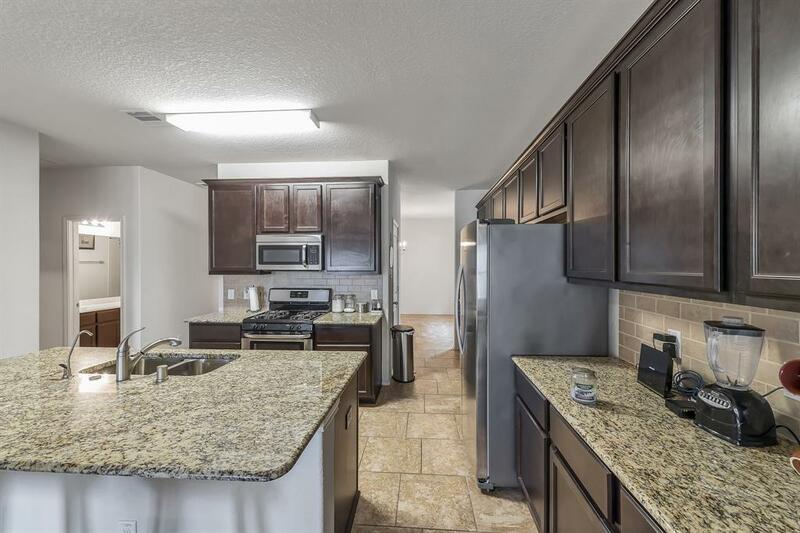 The kitchen has granite counter tops with upgraded backsplash and dark cabinets. 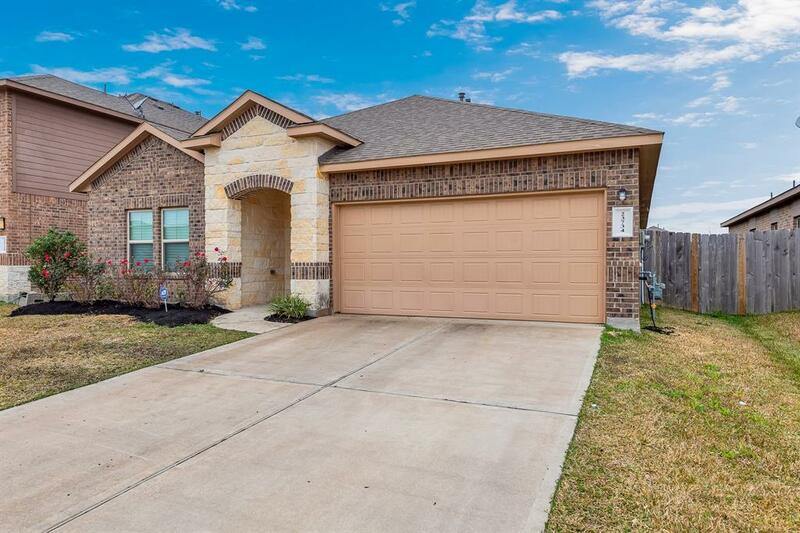 Backyard features a covered patio and no back neighbors for added privacy! The master bathroom features double sink, garden tub, glass enclosed shower, and a larger walk-in closet. Large secondary bedrooms share a 2nd bath with convenient access for guests. Schedule a showing soon! Home did not flood during Harvey.